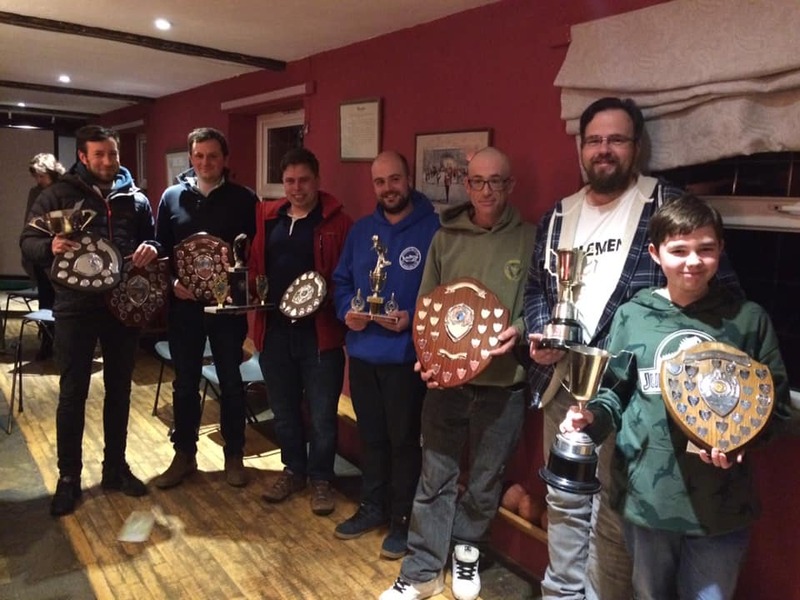 Combe Martin SAC held their presentation night at the Ebrington Arms at Knowle where members enjoyed a delicious meal followed by the presentation of awards. 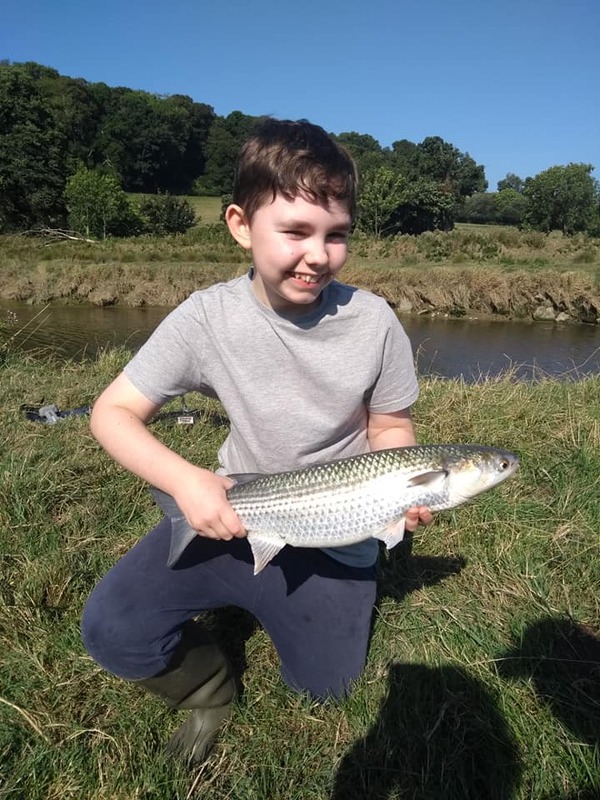 It was especially pleasing to be able to present young Joshua Jeffery with the award for best catch by a Junior and the the award for the best specimen grey mullet a fine thin lip scaling 4lb 6oz. 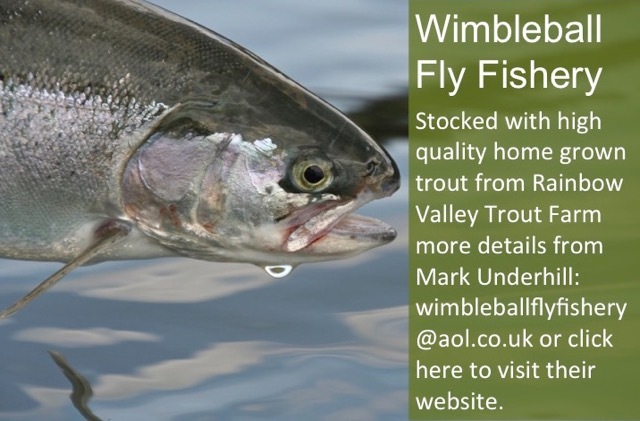 The full list of award winners are listed below with some fine fish registered throughout the year. 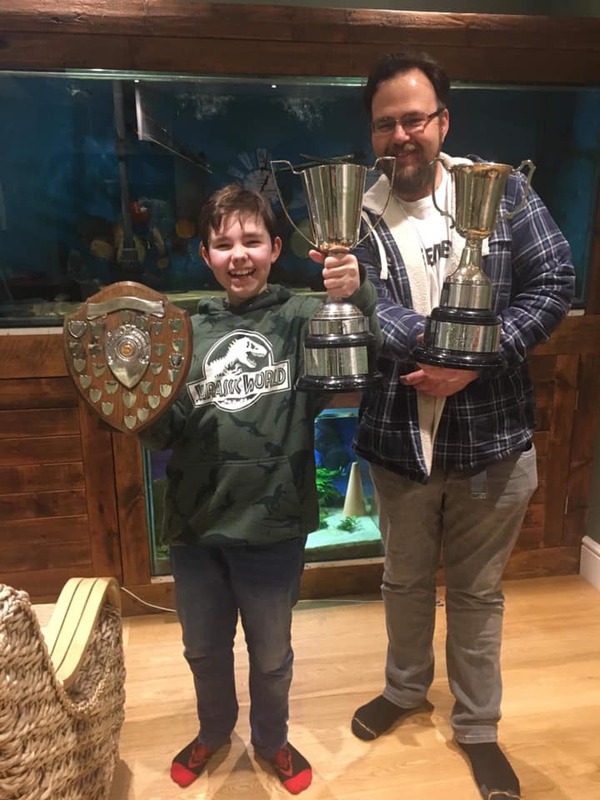 Joshua Jeffery and his father Matt Jeffery proudly displaying their awards. 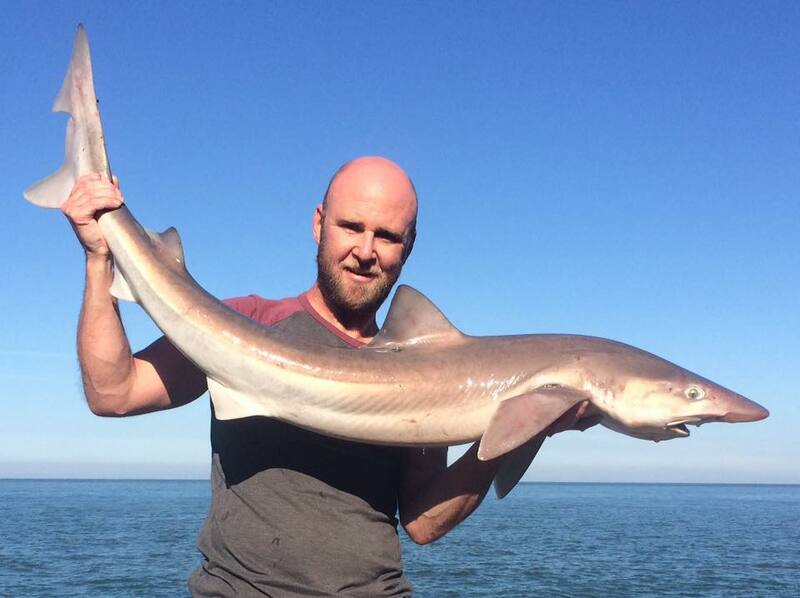 Matt Jeffery secured top spot in Combe Martin SAC’s Six Hour Rover landing a conger of 18lb 6oz. Conditions proved difficult at many marks along the coast with a large swell pounding the coastline. Fish were hard to find with several of the competitors failing to catch. 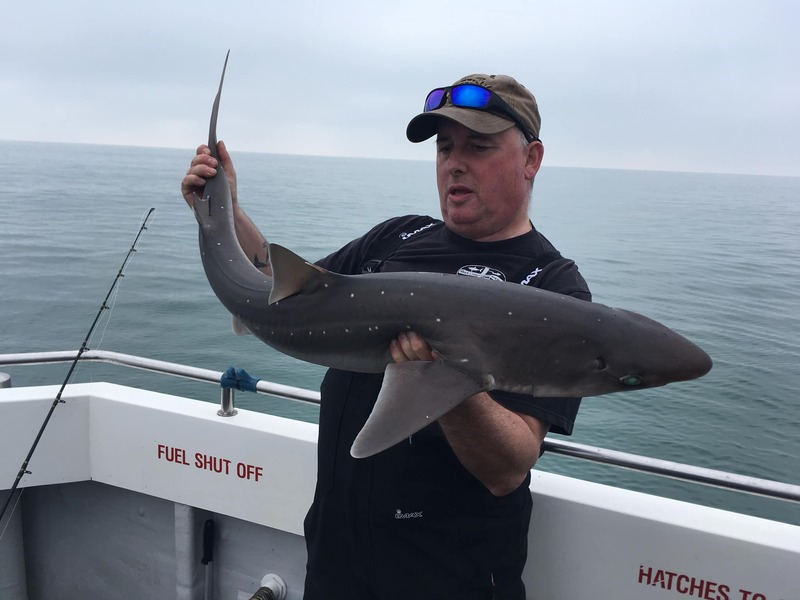 Runner up was Kevin Legge with a rockling of 1lb 6.5oz and third Ross Stanway with a dogfish of 2lb 3oz. 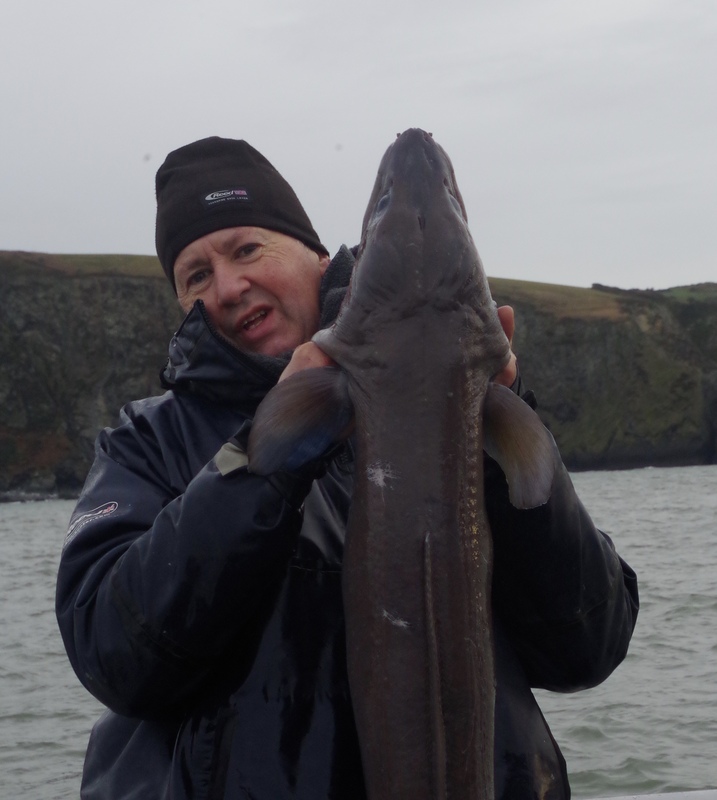 Jonathon Stanway caught a conger of 14lb 8oz and David Jenkins a dogfish of 1lb 9.5oz. This competition signals the end of the clubs winter fixtures. 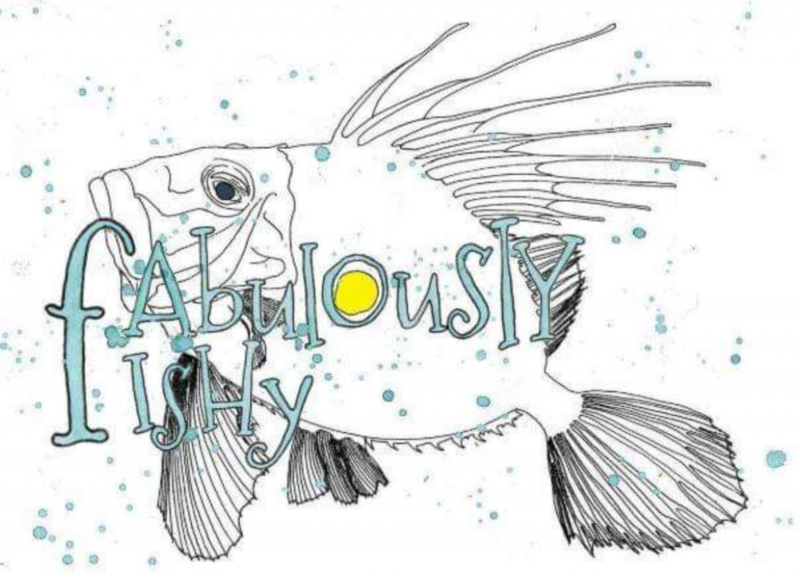 The coming months will see attention turn to spring ray, bull huss and grey mullet. 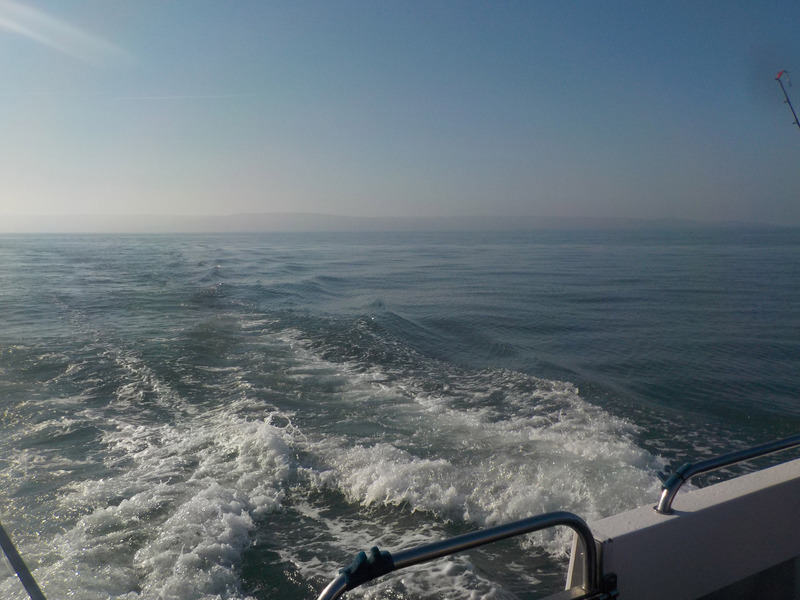 Spring is often a difficult time for sea angling but as the warm sun breaks through optimism rises and in these changing times its worthwhile getting out and seeing whats about. 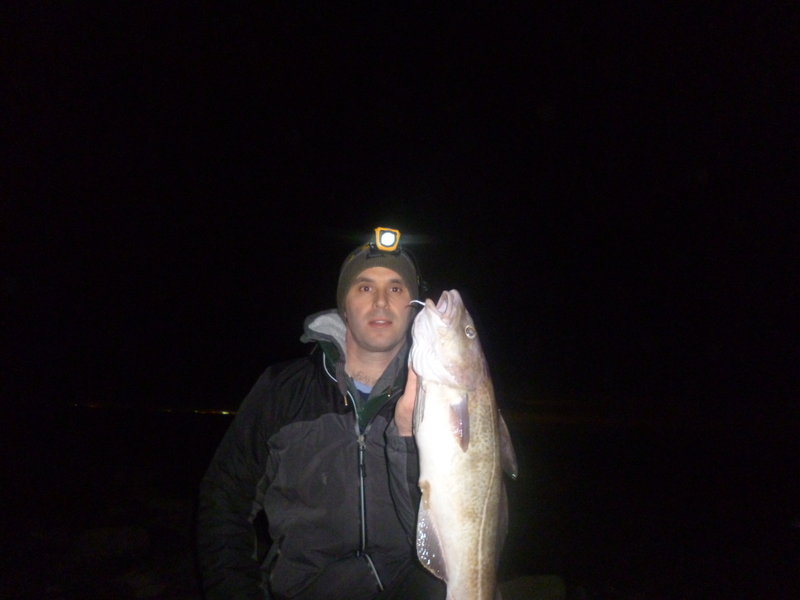 Toby Bassett fished Ilfracombe Pier and was rewarded with a plump codling. There are also a few whiting showing and some dabs from those sandy marks. 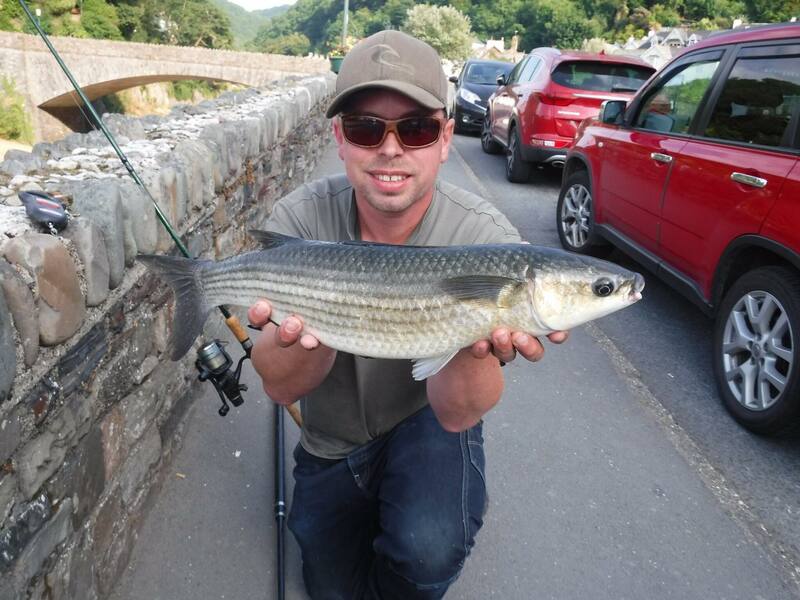 Grey mullet are also starting to show at their old haunts taunting angler’s as they boost their reputation as elusive wily grey ghosts of the coast. 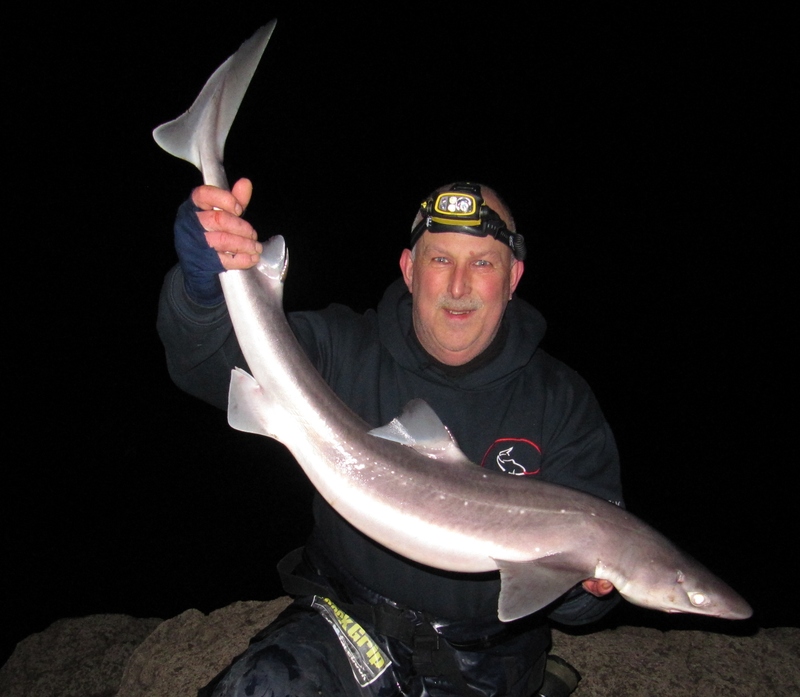 If you want to learn more about mullet I suggest you seek out the excellent book “Fishing For Ghosts” – Successful Mullet Angling by Mike Ladle and David Rigden. 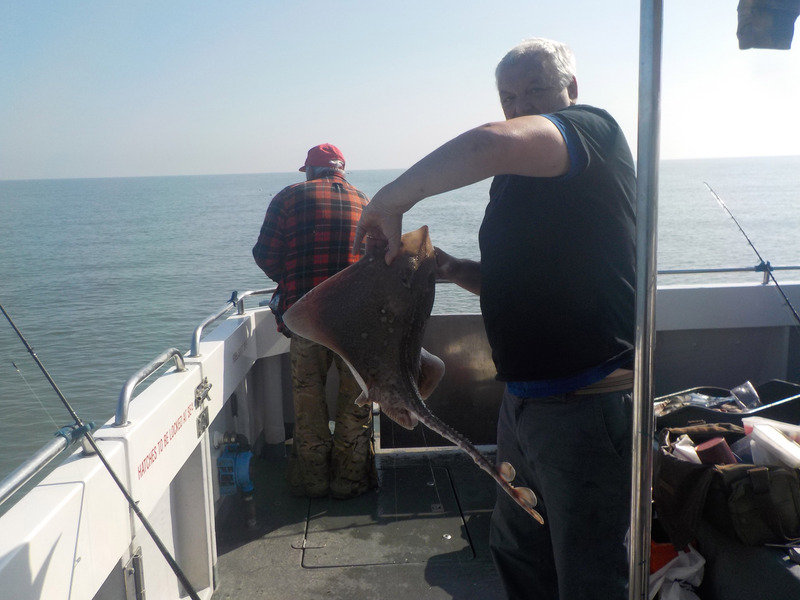 Combe Martin SAC member Ali Laird headed up-Channel and was rewarded with a brace of ray including a spotted ray of 3lb 3oz and stunning specimen small eyed ray of 11lb 2oz. 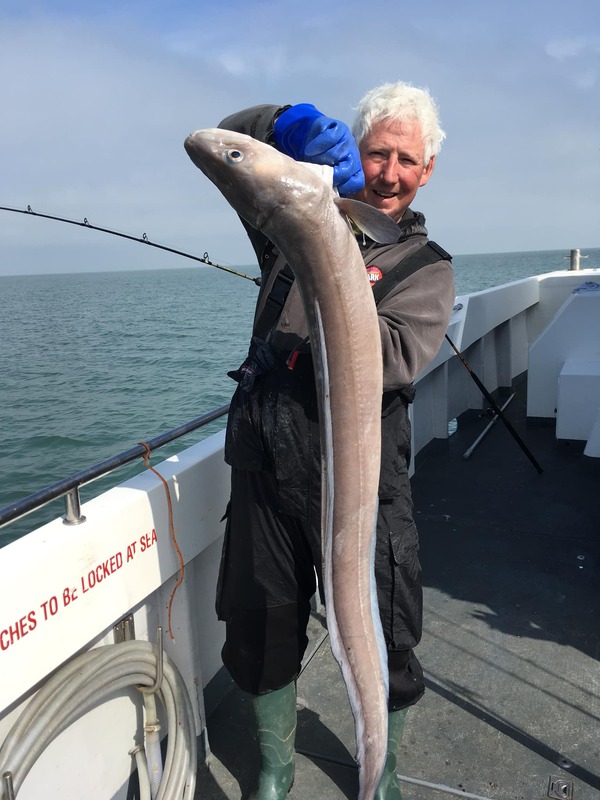 Whilst winter has always been synonymous with cod and codling these fish have been scarce on the North Devon Coast with those hoping to catch these fish having to travel to the the North Devon coast for a good chance. 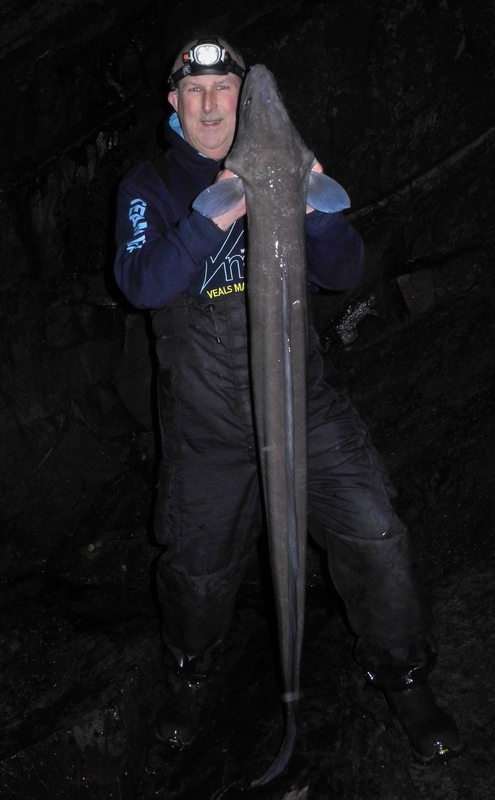 Why the cod and codling have become scarce on the North Devon Coast is open to debate! 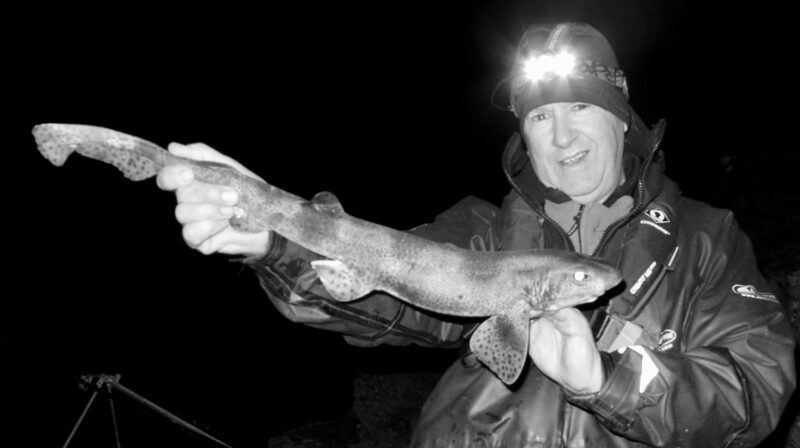 Combe Martin SAC member Stuart Taylor 5lb 4oz codling caught on a Somerset reef last week. 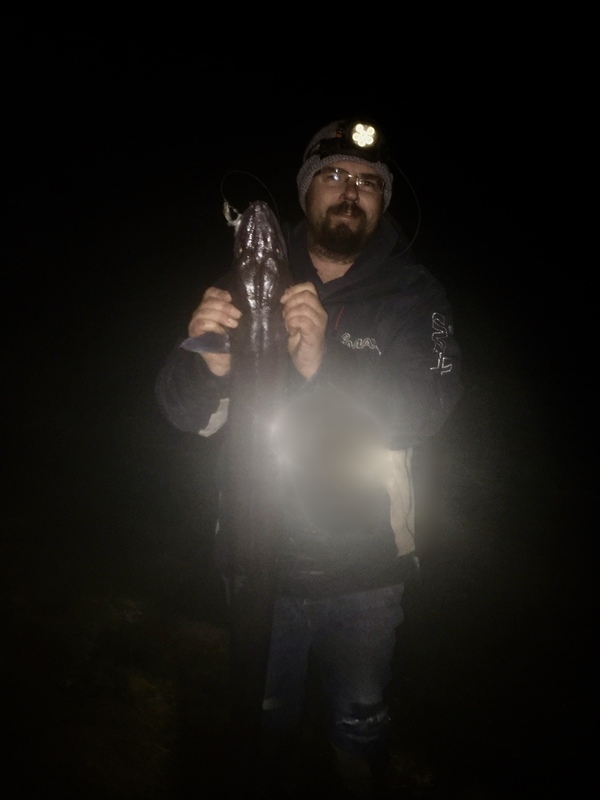 Weather was not very pleasant and very windy and this was the only bite. 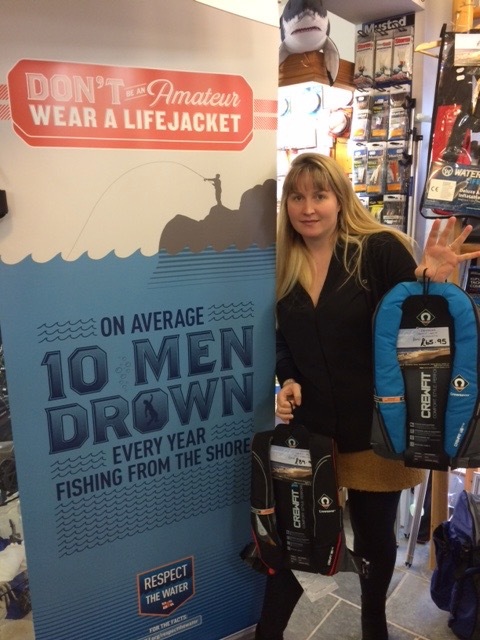 There has been a concerted campaign by the RNLI to encourage anglers to were life jackets and this has been supported a by a few high profile anglers including Henry Gilbey. 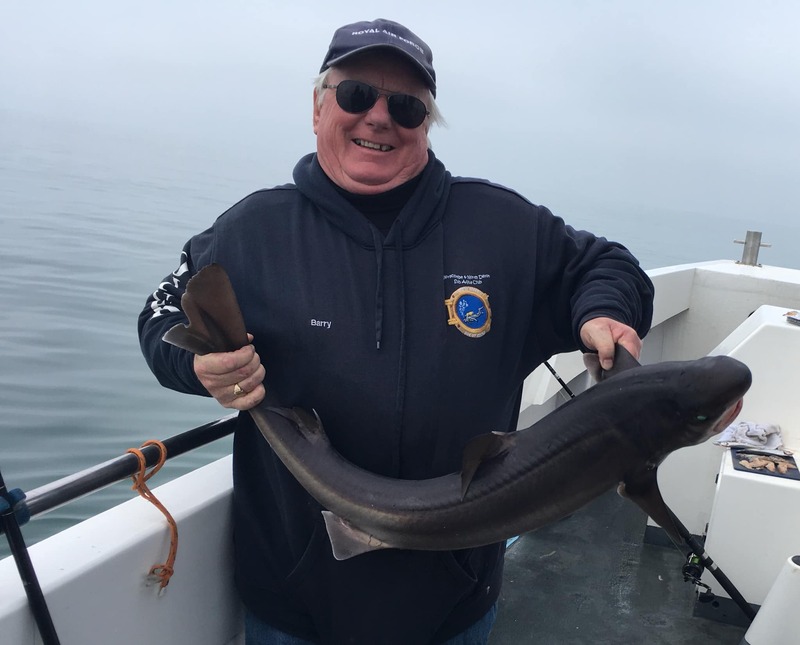 The vast majoroty of anglers do not wear lifejackets and this is something that needs to change if the number of lives lost each year due to drowning are to be reduced. I visited Summerlands at Westward Ho! 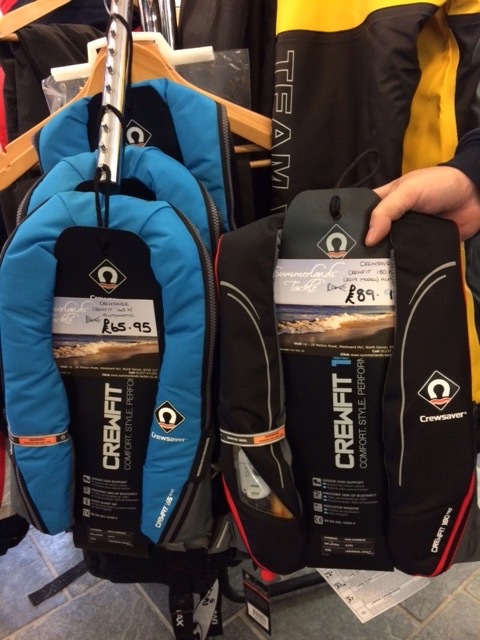 recently and was delighted to see that they have embraced the campaign and are selling Crewsaver 165 Sport Life Jackets at a very reasonable price of £65.95. This could make the perfect Christmas present with the potential to save a life. 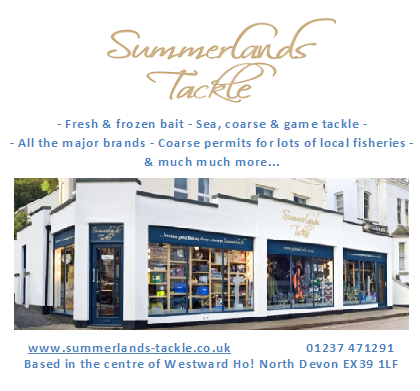 Many experienced sea anglers if challenged will admit to having near misses and with an average of ten shore anglers drowning each year it is time to consider investing in this valuable kit that could save your life. 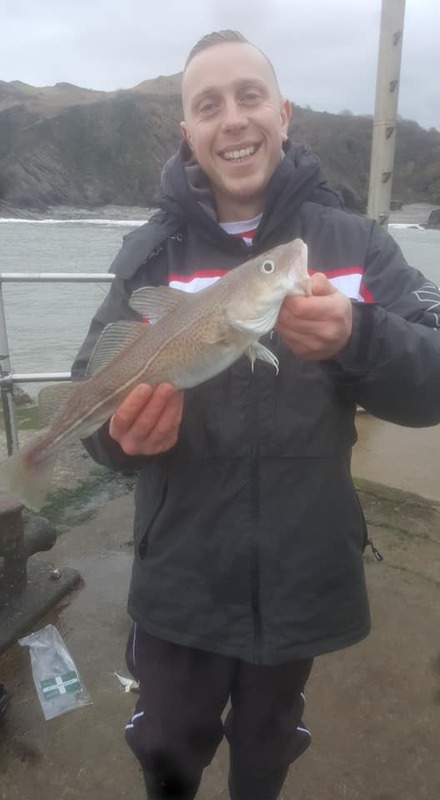 Storm Diedre failed to keep members of Combe Martin Sea Angling Club from the shoreline to compete in their Christmas Competition. 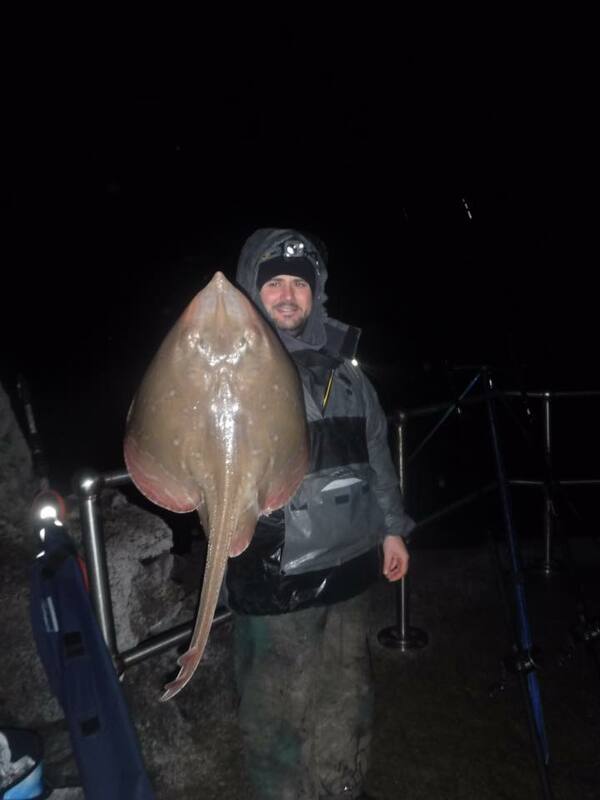 Mark Jones secured victory with a thornback ray of 10lb 7oz. The fish won him a voucher from https://cokerscreations.co.uk and choice of a secret Santa prize donated by members. In runner up spot was myself(Wayne Thomas) with a dogfish scaling 2lb 9oz and in third Dave Brooke with a bull huss of 7lb 9oz. 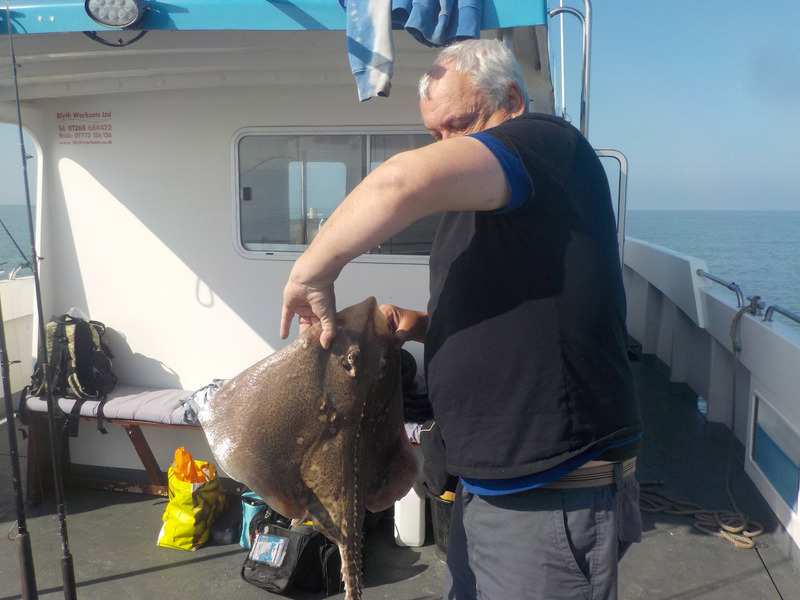 Ross Stanway weighed in a small- eyed-ray of 7lb 2oz for forth. 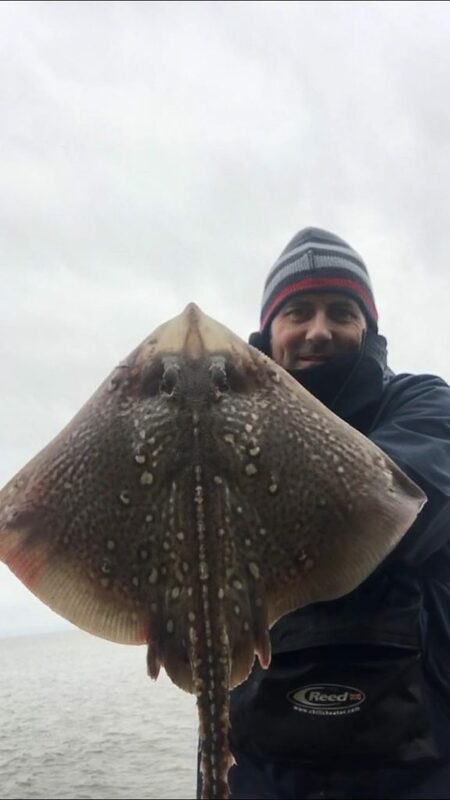 Fifty eight anglers lined the banks of the Torridge estuary to compete in Bideford Angling Clubs Christmas Competition last Sunday with twenty four flounder registered. The winning angler Owen Hare was a junior who landed a flounder of 1lb 71/2oz. Runner up was Stephen Found with a flounder of 1lb 63/4oz, third Darren Burslem with a flounder of 1lb 31/2oz and forth Robert Bowden with a flounder of 1lb 31/2oz. The club were very appreciative of the behind the scenes work of Paul and Lisa Downing and to the sponsors. Barnstaple Triple Hook Clubs Christmas Flounder Open attracted a field of fifty anglers all keen to secure a turkey dinner. The results were the best for many seasons with plenty of quality flounder weighed in. The top ten all recieved a turkey. 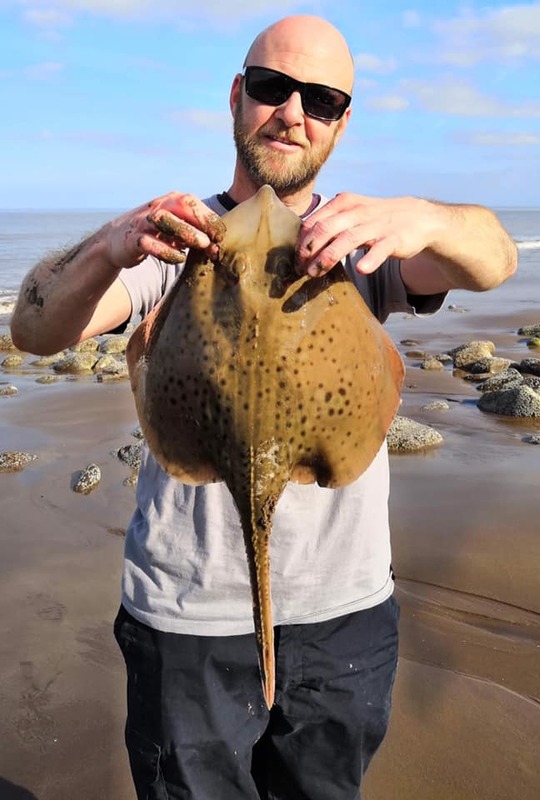 I have been reporting on these estuary flounder competitions for many seasons now and have often noted the contrast in the average size of flounder caught between the two estuaries. 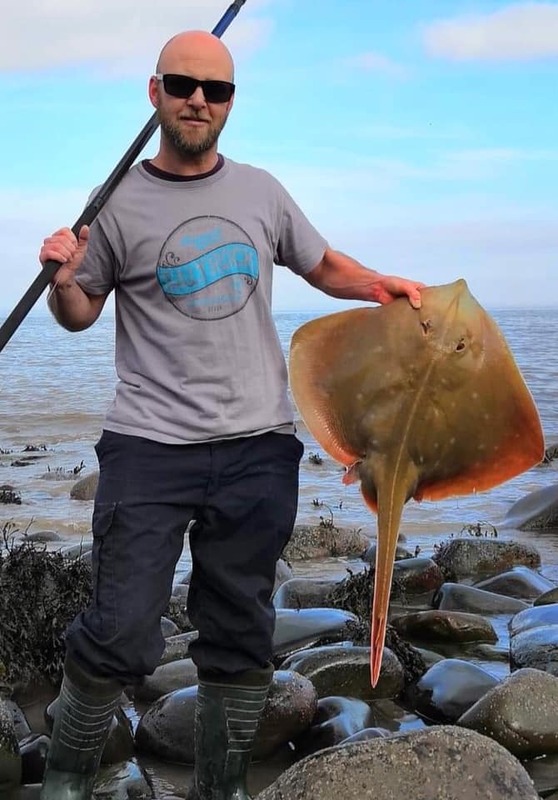 This year the results show a marked difference in fish sizes with the top ten flounder caught from the Taw in Triple Hook Clubs Open all bigger than the winning fish from the Torridge. Both rivers share many common characteristics yet seem to produce different sized flounder potential? 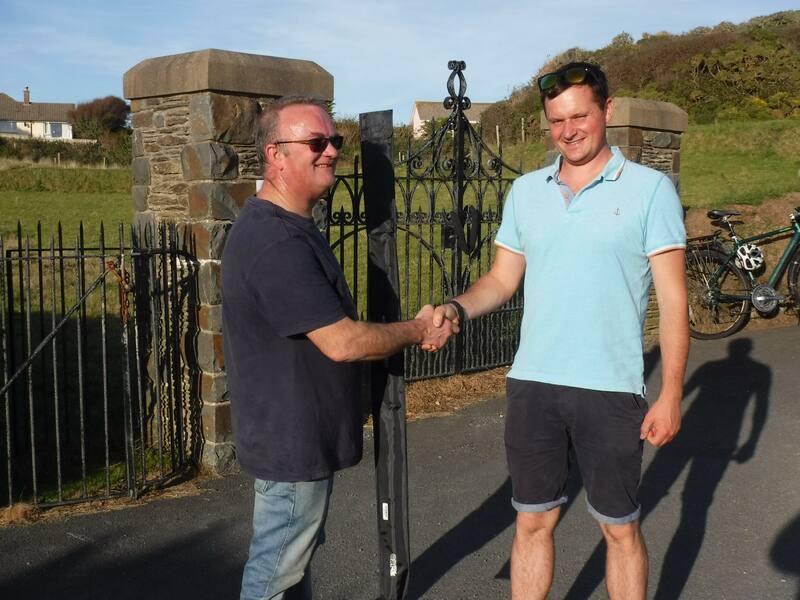 Combe Martin Sea Angling Club held their AGM at the White Lion Braunton where fourteen members attended to hear a summary of the previous years fishing and to set ideas in motion for the year ahead. 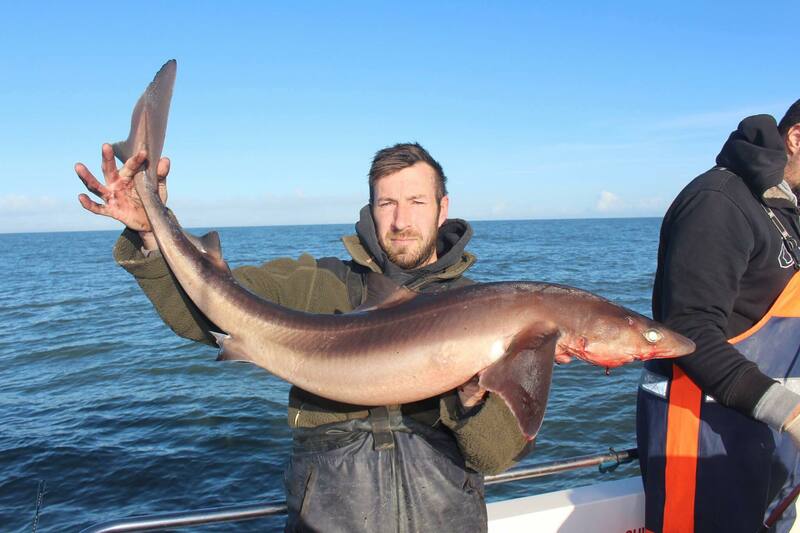 Merit Award has been won by Daniel Welch for his success over a wide range of species from both boat and shore. The clubs full calendar of events will be formulated by mid December incorporating ideas from the membership at the meeting. There was a full debate around a few suggested changes to specimen weight sizes and the following amendments were agreed. 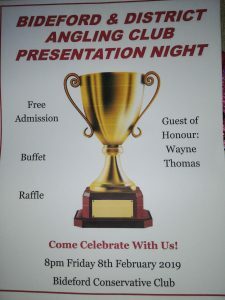 The club are also introducing a new fish of the season prize for all club members. A full report should appear before long on the clubs website. The club would like to thank Sakuma Tackle and High Street Tackle who have supported the club throughout the year.